Jolliman Clothing - Quality Menswear at Affordable Prices : High Heels for Men! Did you know high heels were originally worn by men? The earliest recorded instance of men, or women, wearing an elevated shoe comes from Persian riders. High heeled shoes are often depicted in ancient Egyptian murals. 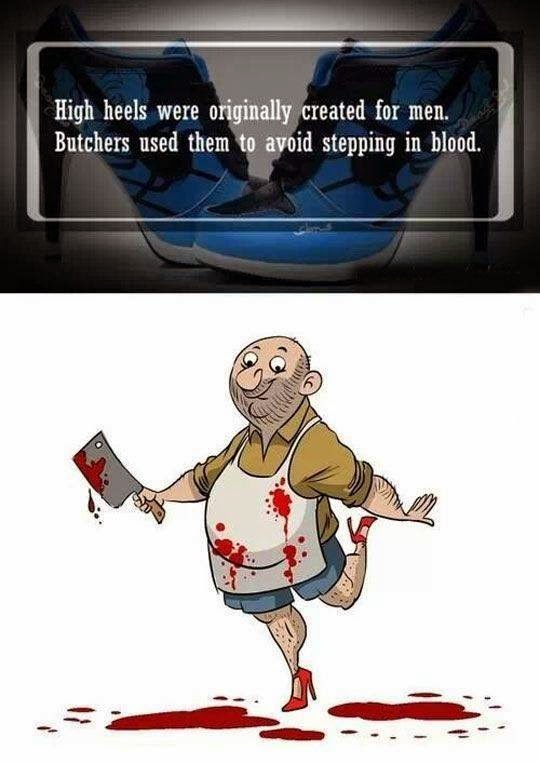 Egyptian butchers wore them to avoid stepping in blood and offal. And they were adopted by Pharaohs and other nobles as a mark of power and for ceremonial purposes.